The first thorough study of the history of fashion in this period, richly illustrated with nearly 300 colour plates from illuminated manuscripts, books, tapestries, paintings and sculptures. 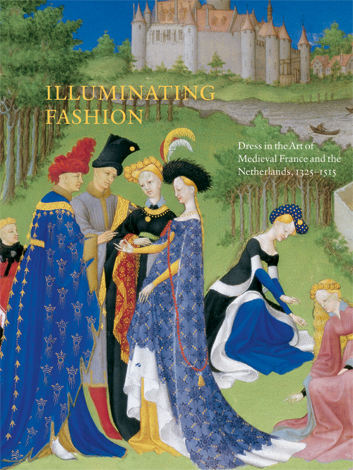 A comprehensive study of dress in Northern Europe from the early fourteenth century to the beginning of the Renaissance, Illuminating Fashion is the first thorough study of the history of fashion in this period based solely on firmly dated or datable works of art. It draws on illuminated manuscripts, early printed books, tapestries, paintings, and sculpture from museums and libraries around the world. "Symbolism and metaphors are buried in the art of fashion," says Roger Wieck, the editor of Illuminating Fashion and curator of the accompanying exhibition at the Morgan Library. Examining the role of social customs and politics in influencing dress, at a time of rapid change in fashion, this fully illustrated volume demonstrates the richness of such symbolism in medieval art and how artists used clothing and costume to help viewers interpret an image. At the heart of the work is A Pictorial History of Fashion, 1325 to 1515, an album of over 300 illustrations with commentary. This is followed by a comprehensive glossary of medieval English and French clothing terms and an extensive list of dated and datable works of art. Not only can this fully illustrated volume be used as guide to a fuller understanding of the works of art, it can also help date an undated work; reveal the shape and structure of actual garments; and open up a picture's iconographic and social content. It is invaluable for costume designers, students and scholars of the history of dress and history of art, as well as those who need to date works of art. 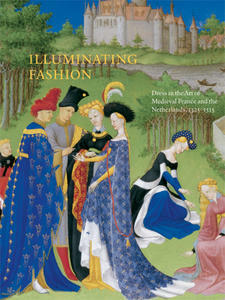 Illuminating Fashion: Dress in the Art of Medieval France and the Netherlands, 1325-1515, is a long-awaited, indepth study of dress in northern Europe from the early fourteenth century to the dawn of the Renaissance. This is the first comprehensive history of fashion to be based exclusively on firmly dated or datable art. Drawing mainly upon illuminated manuscripts, this book also features panel painting, tapestry, sculpture, and early printed books produced in France and the duchy of Burgundy during the late medieval period - a time of rapid change in dress. This publication examines fashion's relationship to social customs, culture, and politics. It also demonstrates the rich symbolism in late medieval art: how artists used clothing and costume as a kind of code that reflected the wearer's identity, occupation, and moral character. AnaIyzing the visual representation of garments - real and fanciful - Illuminating Fashion provides invaluable assistance to the modern viewer in interpreting a work of art through fashion. In addition, van Buren's astute observations on the evolution of dress can be used in dating a work of art. At the heart of the work is a pictorial history of fashion from 1325 to 1515, a suite of more than three hundred color illustrations. This is followed by a comprehensive, annotated glossary of medieval clothing terms and a detailed list of dated and datable artworks that portray contemporaneous civilian dress. The index of clothing terms enables the reader to follow the development and evolution of particular garments.